Red-tailed Hawk. Buteo jamaicensis: “of Jamaica,” where the original specimen was taken. The most common road-side and soaring hawk of North America. To recap, the common name is particularly unhelpful when you get a yearling like this one. 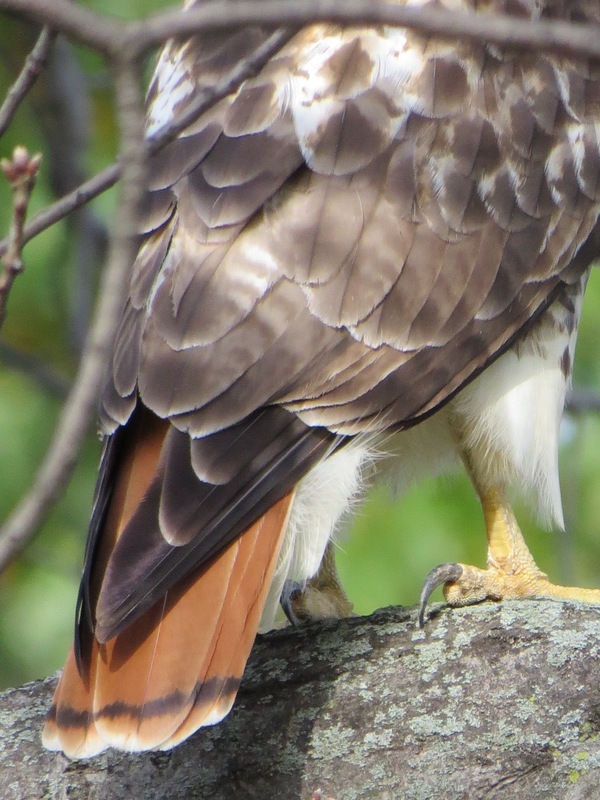 The brick-red tail feathers don’t appear until after the first year of life, if they’re the one out of three who make it that long. 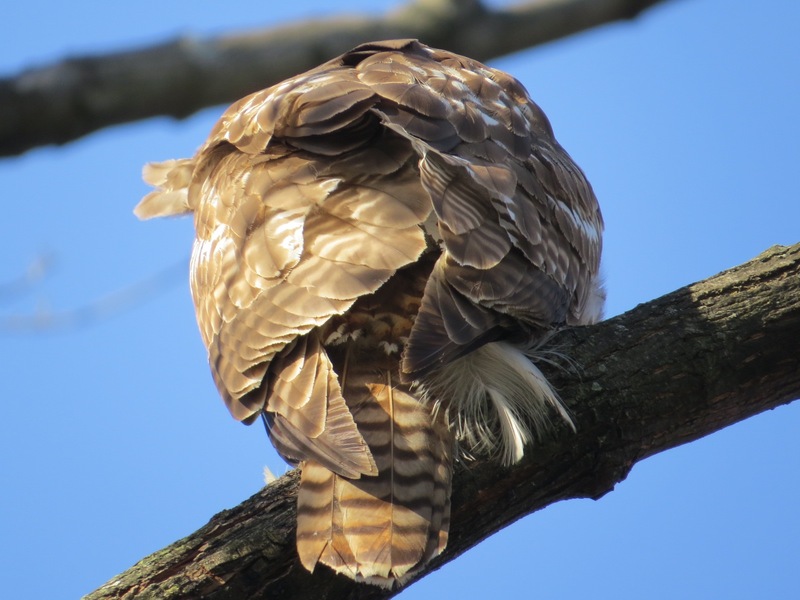 But for the junior varsity team, those stripes on the tail, and the tail’s shortness compared to the bulk of the body, and that whitish mottling on the feathers, are all good signs you’ve got a RTH. Here’s an adult’s tail-end for comparison. A bracing morning read: Civil Disobedience, by Henry David Thoreau. Remember, we are the majority! We are Unstoppable Together.